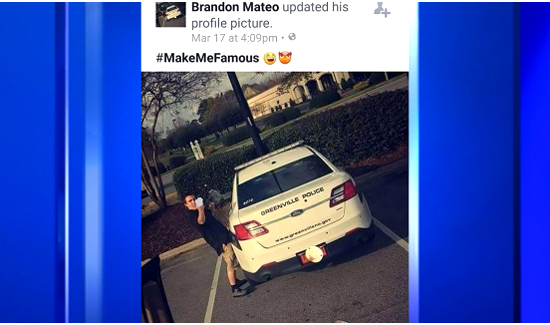 A while ago, some kid took a picture of himself standing in front of a police cruiser flipping the bird. It’s the kind of thing that, while basically harmless, really gets under police officers’ skins. So, after finding the photo on social media, North Carolina’s Greenville Police Department is pleading with the guy to come on a ride along.